Diesel vehicles accounted for 53% of online used car searches via Auto Trader but the fuel type failed to keep pace with petrol powered alternatives 10% year-on-year price rise in February. The online classifieds specialist saw the popularity of diesel cars remain flat last month, according to its online search data, but a price rise of 3% (£476) for diesel – to £14,400 – meant that petrol powered cars ultimately made the larger gains in value, rising £1,105 to £10,733. 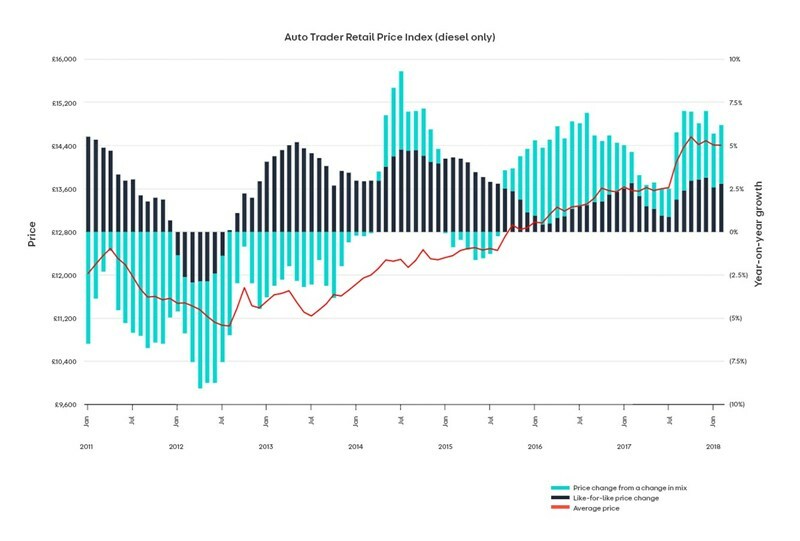 Overall, the average price of a used car rose 6% on a like-for-like basis to £12,768, which reflected the growth in prices recorded in January, Auto Trader said. On average, 22% of all searches that take place on Auto Trader each month are based on fuel type. While 53% of the site’s visitors searched for a diesel vehicle during February, the proportion of searches for both petrol and AFVs also remained flat, representing 43% and 4% of all fuel searches. Diesel’s popularity at the search stage was reflected in Auto Trader’s top 10 fastest-selling used cars in February, with seven of the vehicles listed powered by the fuel. 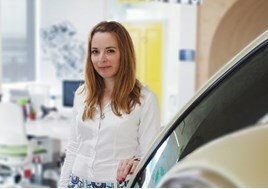 Karolina Edwards-Smajda, Auto Trader’s retailer and consumer product director, said: “Retailers will continue to face unprecedented challenges this year, not least the ongoing fuel debate and the influence of Brexit, which as our recent Market Report highlights, is affecting 61% of consumers’ buying and selling decisions. “Whilst the negative rhetoric that has surrounded the fuel debate over the last few years has clearly impacted the new car market, in regard to the used market, diesels have demonstrated remarkable resilience. “Not only are they retaining their value, but as a fuel type, they remain the most popular on our marketplace. “That’s because they are an excellent choice for many drivers who depend on their fuel efficiency for long distance and out of town driving. “What’s more, modern Euro 6 technology is in many cases a more environmentally friendly choice than petrol alternatives. 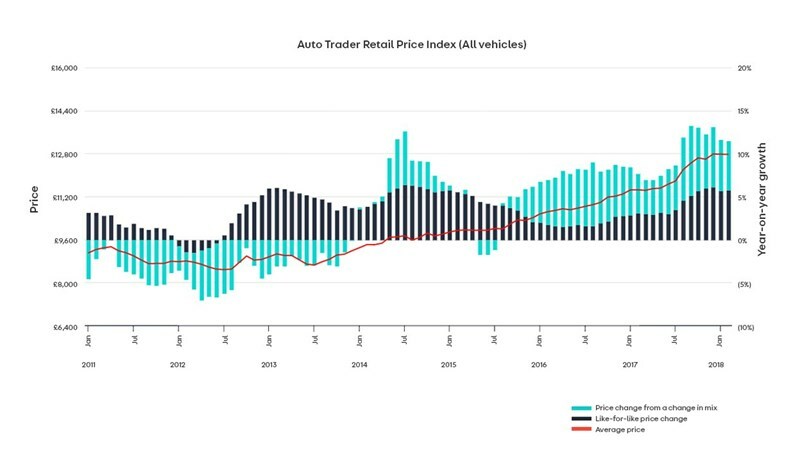 The Auto Trader Retail Price Index combines and analyses data from over 500,000 trade used car listings every day, as well as additional dealer forecourt and website data (OEM, fleet and leasing disposal prices, in addition to pricing data from over 3,000 car dealership websites and data from major auction houses. across the UK).